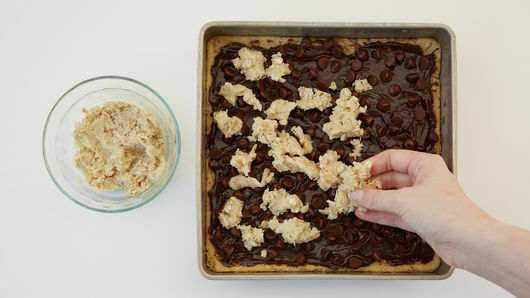 In medium bowl, mix cookie dough and oats, kneading until well mixed. Reserve 3/4 cup of the mixture. Press remaining in bottom of pan. Bake about 15 minutes or until light golden brown. In small microwavable bowl, mix hot fudge and flour. Microwave 30 to 45 seconds or until mixture is warm. 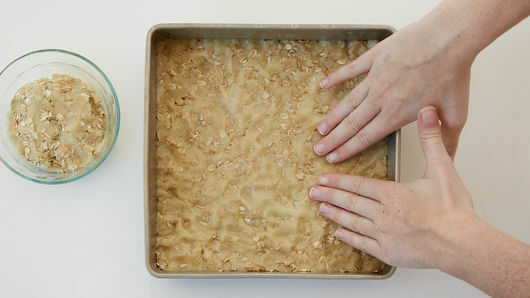 Pour and spread over baked crust. 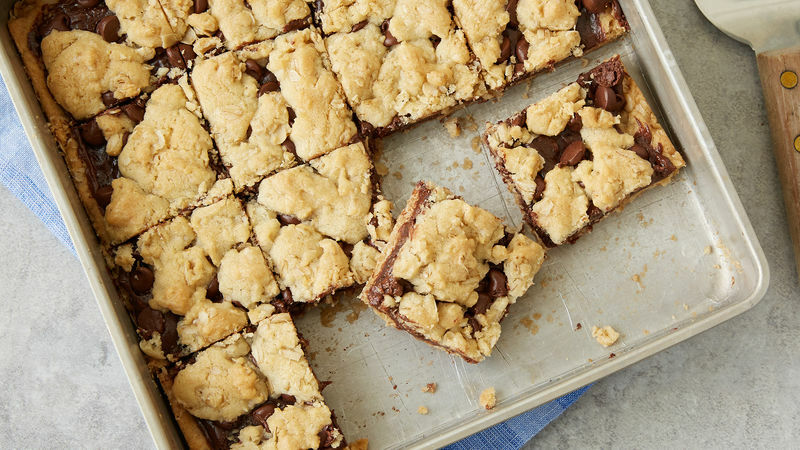 Sprinkle with chocolate chips. Crumble reserved dough mixture over chocolate chips. Bake 18 to 23 minutes or until light golden brown. Cool completely, about 1 hour. For bars, cut into 4 rows by 4 rows. For a flavor twist, try using mint hot fudge topping. To make removing and cutting easier, line pan with foil, then spray with cooking spray.